It’s Friday so what better way to celebrate than look at some of the goofy gear that has made it’s way into my collection. Have you ever been out on a run or bike ride on a cold day and needed to access your smartphone? 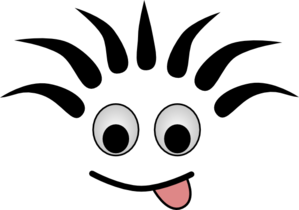 Maybe its to check your progress on Endomondo or to check the incoming call in case it’s your boss. 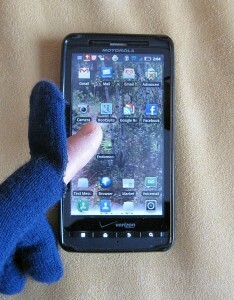 On a cold day, you’d have to stop, take off your gloves, and then work with the phone. By the time you’re finished, your hands are cold. There is no need to be frustrated with those cold fingers any longer. Enter the super-duper goofy gear smartphone gloves. Yes, there are commercial versions of this idea available but who wants to shell out $50 or even $20 dollars for another pair of gloves when you can make your own from an existing pair. 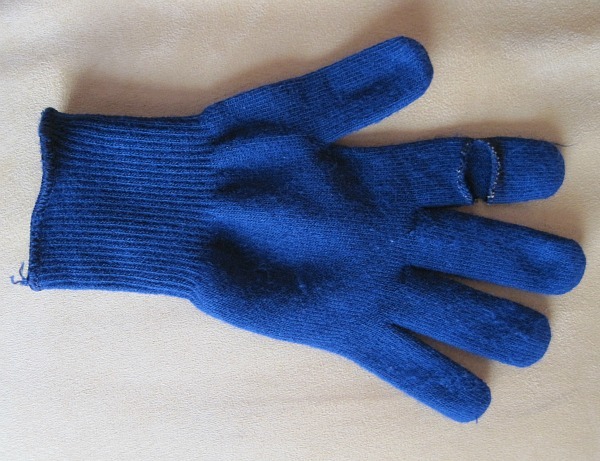 And those old school ragg wool mitten gloves are too bulky and itchy for exercise. Start with a basic knit glove. I used the Nashbar polypro glove. These are the gloves I use most often and they are only $5.00 for the pair. For running, they are the perfect winter glove. For cycling, they are great for cool morning commutes or as a liner on a really cold day. You could probably use any type of glove, but the knit gloves seem like a better choice because they are cheaper if you mess up and they are easier to sew once you make the cut. The next step is to cut a slit in the index finger. I cut mine between the first and second joint. Any longer and it would be hard to slip your finger out of the glove. Make your mark and then carefully cut on the inside of the index finger. The cut should be the width of your finger. Oh, and please take off the glove before cutting. Now you need to sew around the edges of the slit to prevent fraying. I tried burning the thread ends like you do with paracord and it kind of worked. It’s probably better if you just stick to sewing around the edges. I used what I call a loop stitch (don’t know the official term) to make the thread go over the edge, pull in any frayed threads, and then come back up through the glove. Take your time doing the sewing and try to get the loops close together. Also, put in some extra loops in the corners to make them a little stronger. 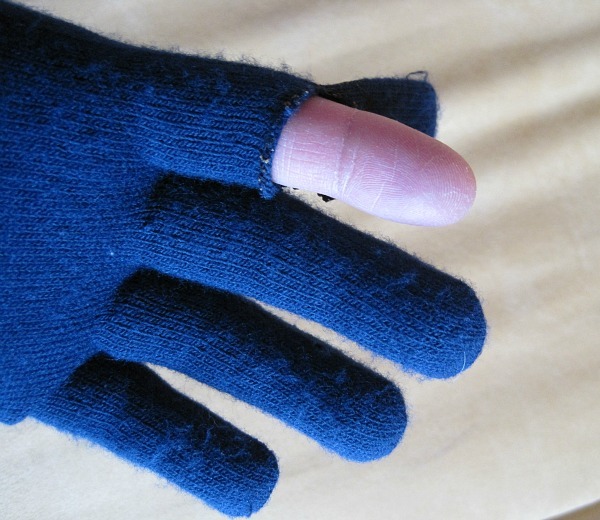 Voila – you now have some home made smartphone gloves that work. 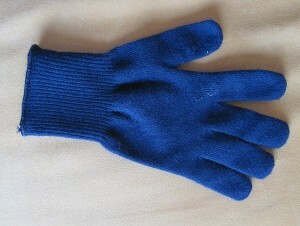 The gloves perform as they did before, but they now have an extra feature for easy smartphone access. Don’t use this as an excuse to text and check Facebook during your exercise. It’s much better to look up and enjoy the scenery as much as you can.